Who Needs A Bike Fit? 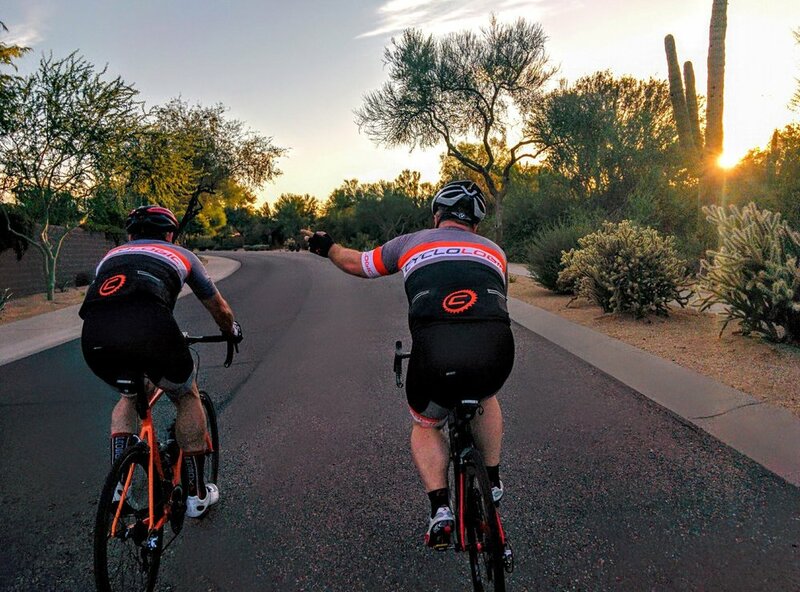 Cyclologic is very proud to host two "civilized" group rides each and every week. 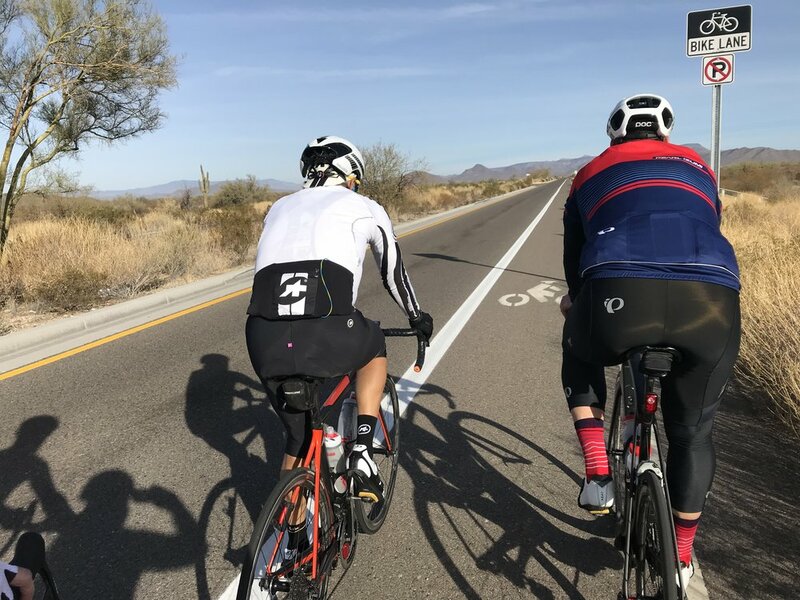 The Cyclologic Saturday Morning Group Ride is known nation-wide as being an alternative to the normal pell-mell anarchy that most shop rides have become. Depending on the week, and how many people show up, we usually have four groups. 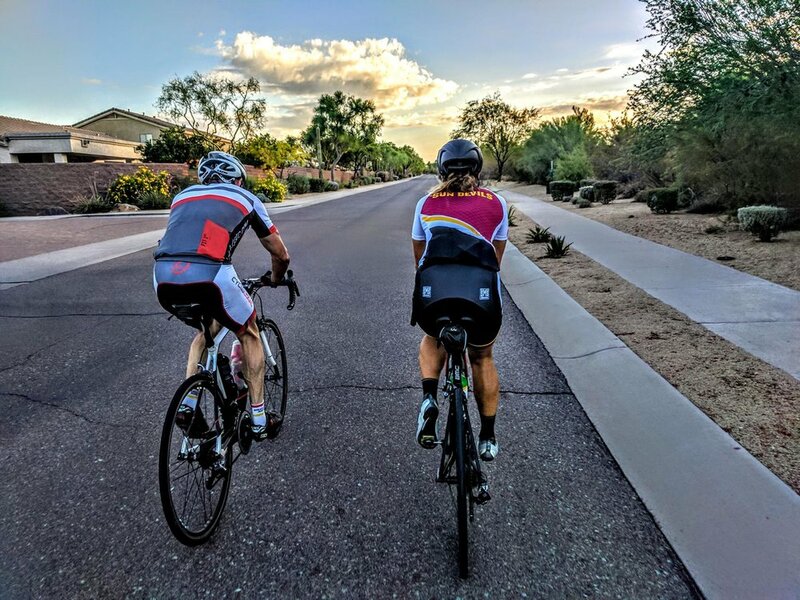 A slower conversational, "no-drop" ride, a ride for people new to riding in groups ("C group"), a mid paced ride over rolling terrain ("B group"), and a faster, more challenging group ("A group"). A, B, and C groups ride in a double pace line that rotates away from traffic. Riders in the front of the group pull for up to two minutes before calmly pulling across. If you don't want to pull, no problem! We just ask that you stay to the back of the right hand line. There is no attacking and no half wheeling. We communicate information about road debris all the way back through the group, and obey all traffic laws. We talk, watch out for each other, and have fun! Oh... and let's not forget the coffee, bagels and laughs at the end! We want to build a community of safe riding groups. Come ride with us! We try to start rolling at 6:30am sharp. Don't be late! Questions? Call the store (480-699-5358) for more details. 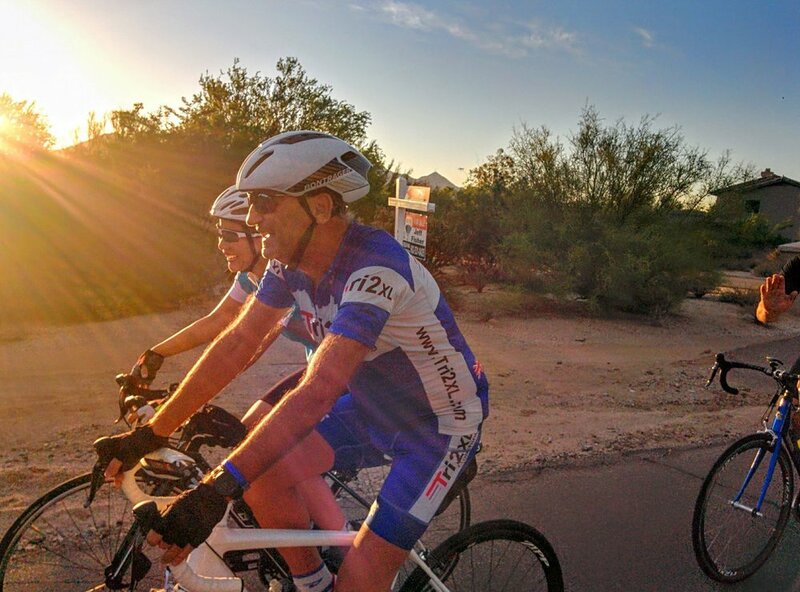 We can't wait to ride with you! This is a night ride that leaves the shop at 7pm. Depending on the time of year, much, if not all, of this ride happens in the dark. Lights are required. There is a single group that rides 16-20 miles per hour over rolling terrain for a total of 30-40 miles. As with our Saturday morning ride, we obey all the rules of the road, and start on time. Hope to see you soon!